COLORADO SPRINGS, Colo. — USA Triathlon today announced that Montana State University Billings, an NCAA Division II institution, has added women’s triathlon to its varsity sports portfolio to become the first university in the state of Montana to offer the sport at the varsity level. The Yellowjackets will begin competition at the varsity level in the fall of 2019. 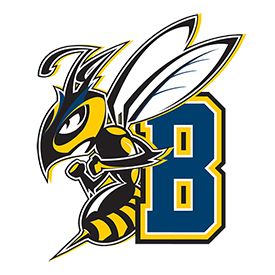 Women’s triathlon has already gained popularity within MSUB’s geographic region, with fellow NCAA Division II school Black Hills State University (Spearfish, S.D.) offering the sport and providing MSUB with a potential dual-meet competitor within close proximity. Fellow region school University of South Dakota (Vermillion, S.D.) competes at the Division I level. The addition of the women’s triathlon program at MSUB is made possible through a $70,000 grant from the USA Triathlon Foundation. The USA Triathlon Foundation Women’s Emerging Sport Grant is distributed to select NCAA membership institutions to develop, implement and sustain women’s triathlon programs at the NCAA varsity level. The NCAA named triathlon an Emerging Sport for Women in 2014, a designation that gives the sport a 10-year window to demonstrate sustainability at the NCAA level. USA Triathlon is more than halfway to its goal of recruiting 40 schools by 2024. Women’s triathlon is a fall sport, and the varsity season includes three Regional Qualifiers followed by the Women’s Collegiate Triathlon National Championships. Athletes race over sprint-distance courses covering a 750-meter open-water swim, draft-legal 20-kilometer bike and 5-kilometer run. For the complete 2018 Women’s Collegiate Triathlon schedule, click here. For more information about triathlon as an NCAA Emerging Sport for Women, visit usatriathlon.org/ncaa. For questions regarding varsity collegiate women’s triathlon events and programming, contact Jessica Walk at Jessica.welk@usatriathlon.org.